According to the UN, "clean, accessible water for all is an essential part of the world we want to live in. There is sufficient fresh water on the planet to achieve this. But due to bad economics or poor infrastructure, every year millions of people, most of them children, die from diseases associated with inadequate water supply, sanitation and hygiene". "Over 660 million people don't have clean water to drink - that's more than double the population of USA [Updated fact for 2015]. For children, a lack of safe water affects every aspect of their lives - from nutrition to education to safety. In 2015, join the conversation and tell us what #wateris to you". IF YOUR WAC TEAM IS RESEARCHING SOLUTIONS FOR CLEAN WATER LOCALLY OR GLOBALLY, REACH OUT TO OUR PARTNERS LISTED BELOW TO LEARN DIRECTLY FROM THOSE WORKING TO SOLVE THIS ISSUE. IF YOU ARE AN ORGANIZATION (OR AN ADVOCATE) WORKING ON PROJECTS FOR CLEAN WATER & SANITATION WE INVITE YOU TO PARTNER WITH WAC. CLICK HERE TO FILL OUT OUR COMMUNITY PARTNERSHIP FORM. Since 2012, Freshwater Project International has supported the implementation of community-led water, sanitation and hygiene projects. Through partnerships with local communities, other health-focused NGOs and government agencies, Freshwater's mission is to provide clean water, safe sanitation and hygiene information to the people of Malawi through three program pillars that include the provision of WASH in villages, schools and health centers. 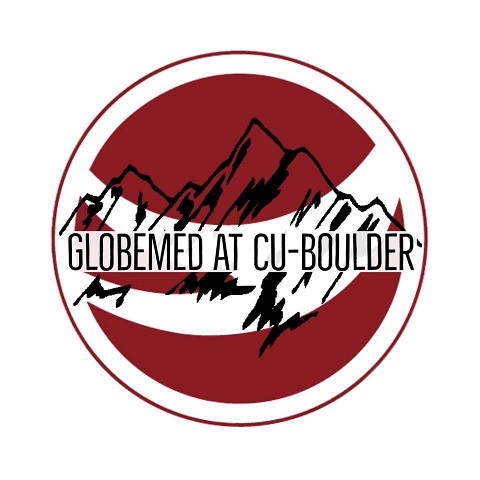 GlobeMed's mission is to engage students in the movement for global health equity by training students to generate resources and awareness, developing knowledge bases and skill sets, and providing opportunities to work and learn alongside Himalayan HealthCare (partner organization in Nepal). GlobeMed believes that every person has a role to play in global health equity and part of their mission is to help students find their place in the movement. In our interconnected world, we interact with people from different cultures on a daily basis. Assumptions are made, interpreting comments, reactions and behaviors. The result is often miscommunication because of a culture difference. These miscommunications can be extremely costly to organizations and relationships. Real World Solutions provides practical training and coaching in intercultural awareness and competence for professionals and organizations in business, health care, education, and community services. Blue Star Recyclers is an award-winning 501c3 social enterprise with locations in Colorado Springs and Denver, CO. Founded in 2009, their core mission is recycling electronics and other materials to create local jobs for people with autism and other disabilities. In order to benefit students, Blue Star Recyclers can provide onsite tours (Colorado Springs, Denver, and Boulder facilities), classroom presentations, and mentoring via email. The Road to Hope builds self-sustaining communities through partnering with individuals and organizations in the U.S. and Haiti to learn and build mutually supportive relationships. We believe in bridging the distance between communities globally, which is why we partner with communities throughout the U.S. and Haiti to provide in-person and digital cultural experiences and outreach for students, community leaders, musicians and other interested parties. We invest in food, agriculture, education, music, the arts, and water and sanitation programs in the communities we serve. Sustainable Schools International (SSI) invests in sustainable education for rural economic development in Cambodia. We partner with government schools and build social entrepreneurs and leaders. 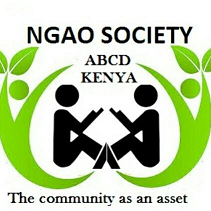 Micro-finance, in the communities we serve, develops the local economy and sustains our schools. As a result, our goal is to stop child exploitation before it starts. Sustainable Schools International (SSI) would love to serve as a resource for the passionate students working to solve global challenges. CorpsAfrica is a non-profit organization that recruits and places ambitious Africans in remote, high-poverty communities in their own countries. These men and women live in the community for a year and initiate sustainable projects that fulfill key needs and whose impact and success can be carefully measured, all through a transformative volunteer experience. CorpsAfrica seeks to connect WAC students to current and alumni volunteers who have worked on development issues at a grassroots level in communities in Morocco, Senegal, and Malawi. Engineers Without Borders USA harnesses the skills of engineers to tackle the challenges that keep the world's poorest people from living healthy, productive lives. They achieve this goal by utilizing highly skilled volunteers to work with communities to find appropriate solutions for their basic infrastructure and human needs. Engineers Without Borders USA seeks to help students in WAC by providing K-12 Lessons Plans that might be useful for water, biofuel, and bridge projects. teams in subjects relating to water, climate change, and agriculture in developing countries. Kimetrica is a social enterprise where their mission is to increase the effectiveness of spending in the social sector by providing software, research, advisory and training services for evidence-based decision making and learning. Kimetrica also helps governments and non-profit organizations to increase the impact and efficiency of their social investments, enhance accountability, manage critical risks, and build donor or taxpayer confidence. They seek to help WAC students by educating them about the impacts of international development.